The Inception Group’s evergreen homage to the late Margaret Thatcher has undergone a major lighting upgrade at the hands of Sound Division. 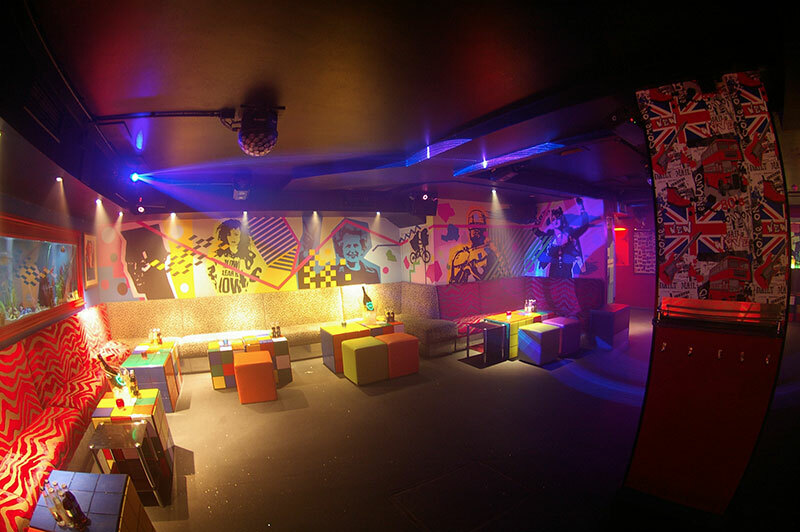 Opened by the fast growing company’s Charlie Gilkes and Duncan Stirling in April 2010, Maggie’s in Chelsea is a 1980’s-inspired boutique club named after the former British Prime Minister. 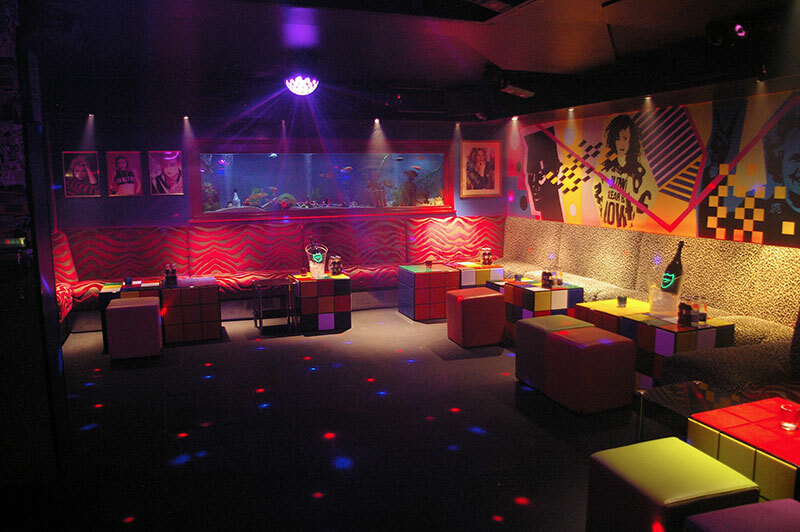 It had been trading largely without dynamic lighting until the operators contacted David Graham’s London-based installation company, based on their sensitive lighting implementation at another heavily themed Inception venue, DISCO in Soho. 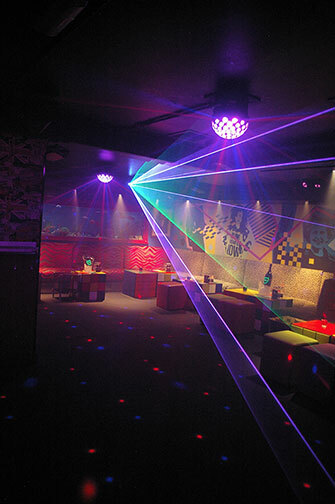 While the focal point at Maggie’s is again the dance floor — now brought to life by a laser, strobe, scatter beams and four hemispheres — the more subtle work has been applied to bringing 80s icons such as Wham, Mr T, Super Mario, Sonic The Hedgehog etc to life with a series of cleverly detailed fixtures and drivers. 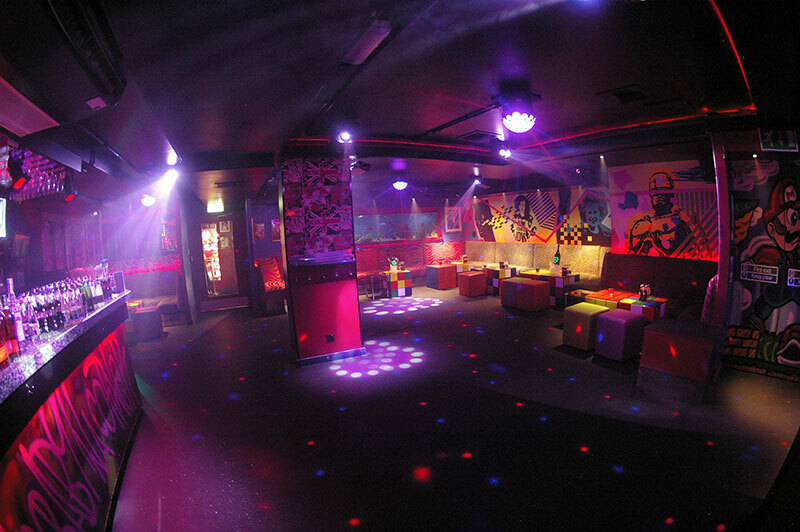 This is in evidence right from the point of entry, where Sound Division has specified a pair of high powered, IP65 weatherproof Polaris 111 LED colour changing fixtures inside the entrance canopy leading into 16 AVR CE3 RGB LED modules as step lights inside the club. These are offset by the main stairwell feature — vertical wall recesses with seven CE3 RGB LED modules per side at the top and bottom of each recess — all individually controllable to produce a variety of colour change and chase patterns, which guide patrons on their journey down the stairway to be faced by the portrait of Maggie herself, now even more vivid thanks to an ultra-slim LED warm white picture light. Elsewhere Sound Division has used subtle LED ribbon tape to highlight tables and bar, with UV panels throwing light onto the special painted fluorescent mural behind the bar. 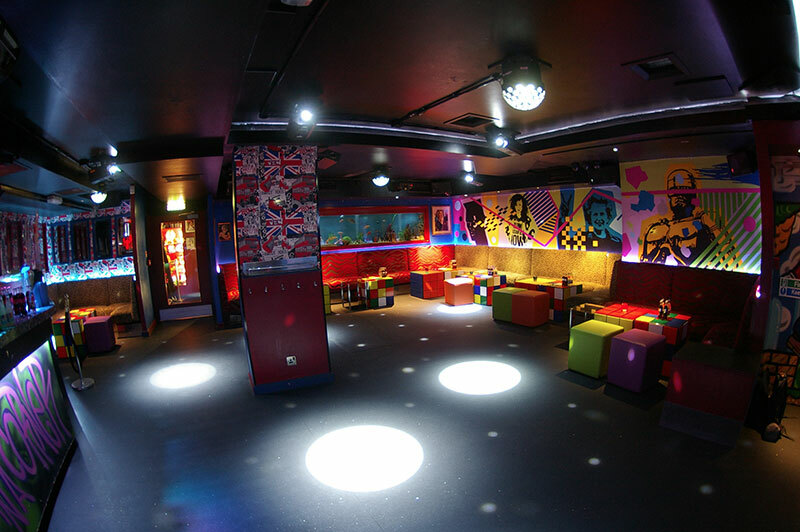 Meanwhile, further LED effects glow behind the seating, while other sophisticated LED mood effects befit the upmarket club’s upmarket clientele. Over the bar itself the company has replaced the existing fittings with five mini LED 30W RGB Par stage cans. But it is the dance floor that has really been transformed. Taking into account the low ceiling, Sound Division has installed four strategically placed Chauvet Hemisphere centrepieces — much favoured by Duncan Stirling himself for their ‘Sputnik’ multi-coloured spikes of changing light; these interact with six Chauvet 300 LED scanners, installed snugly into the ceiling’s recessed edges. A Pulsar strobe and Chauvet Arena haze machine further enhance the impact along with another icon of the 80s, a Kvant ATOM 800 compact 800mW fast scanning multi-coloured laser.